Weki is finally done with school and heading off to university! A chance meeting with an old flame brings to the boil lingering feelings that he thought were long gone. Even though he is moving on he still looks back to the way things were…. And the way they could be? Olumide Oworu is a multi-skilled entertainer who has made a name for himself as an actor, model and musician (Lumi_D is his stage name). 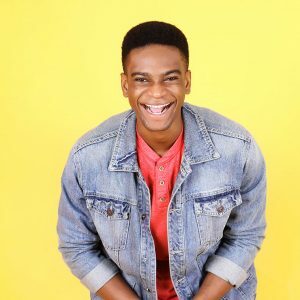 His career began at a young age; Olumide was a baby model before he made his TV debut as an actor on ‘Everyday People’ when he was just 5 years old. He starred as Weki in MTV Shuga Season 3&4 and returns as the same character in MTV Shuga season 6.